The B.C. government has announced it's giving the City of Kelowna over $777,000 in Bike B.C. funding to help convert a section of abandoned rail line into an off-road bike path. Cyclists in Kelowna who bike to UBC Okanagan are finally getting a safe and legal route connecting the campus to the city's downtown. "I've very excited about it. This will open up cycling access for a lot of people," said UBC Okanagan professor and cycling advocate Rebecca Tyson. Right now, it is illegal for cyclists to use the safest route into the university because it involves riding on a private road that has been at the centre of a contentious court battle between the university and a group of residents who live along the road. The legal routes into the university require cyclists to ride next to a busy highway that often has large trucks travelling along it at high speed. "Right now, there isn't a great safe route," said City of Kelowna project manager Andrew Gibbs. "You can take a number of varied routes to get there but you conflict with busy roads. This [new] one provides a largely off-road route from the university into town. There's a few major road crossings but as part of the work, we'll be developing safe road crossings with lines painted on the road, push-activated signals, that type of thing, so people can move much more safely between the school and downtown." The new route is part of the Okanagan Rail Trail initiative. In 2015, a group of municipalities led by the City of Kelowna bought an abandoned rail corridor from CN Rail for $22 million. 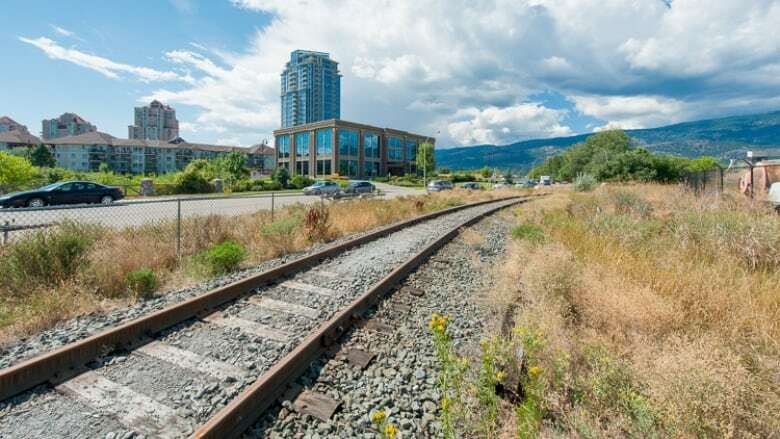 The municipalities and a community group are now raising about $8 million to convert the 50-kilometre line into a bike path connecting Coldstream at the north end, through Vernon, Lake Country and into downtown Kelowna at the south end. A day after the provincial government announced the Bike B.C. funding for Kelowna, the federal government announced $471,500 in Canada 150 infrastructure funding to help pay for the north end of the trail. Between government grants and private donations, more than $4 million has been raised, said Okanagan Rail Trail ambassador Brad Clements. "Hopefully, we can finish funding the trail this year." If all goes well, said Clements, sections of the trail could start opening for public use by next year. Construction of the Kelowna section will begin this fall, said Gibbs, and should be complete by March 2018.